These are the words written on Tessa Waye’s diary. The diary that ends up with Wick Tate. But Tessa’s just been found... dead. Why I am lurking on this: The first thing that cought my eye was the cover. It's just... wow, I love this kind of stuff. Like Matrix x) And then there's the summary, and Wick is just everything I find interesting pressed into one girl. I'm not going to miss this for the world! Four years ago, Judith and her best friend disappeared from their small town of Roswell Station. Two years ago, only Judith returned, permanently mutilated, reviled and ignored by those who were once her friends and family. Unable to speak, Judith lives like a ghost in her own home, silently pouring out her thoughts to the boy who’s owned her heart as long as she can remember—even if he doesn’t know it—her childhood friend, Lucas. But when Roswell Station is attacked, long-buried secrets come to light, and Judith is forced to choose: continue to live in silence, or recover her voice, even if it means changing her world, and the lives around her, forever. Why I am lurking on this: That title, and then that summary. I'm very excited to dive into this, sounds thriller-like. I've already read Find Me and it was a lot of fun! I'm very excited for All The Truth That's In Me. It sounds really intriguing! I have both books on my to-read list and I'm really excited about them. If I'm not mistaken one or both books are on NetGalley so you should request them if you haven't already. I hope you enjoy reading them when they come out.Great picks! These are great pick! 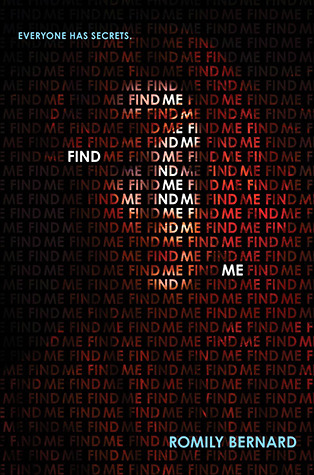 I can't wait to start Find Me and The Truth that's In Me sounds sooo good too. I've actually read Find Me. Definitely an interesting story. 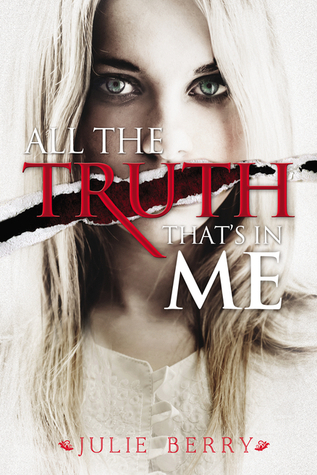 I'm dying to read All the Truth thats in Me. Great picks! Ohhhh these look good! Awesome picks! Thank you so much for picking FIND ME!! I haven't seen ALL THE TRUTH THAT'S IN ME. I need this one. Off to Amazon!! Those are both great, creepy picks. Thanks for sharing! Ooh, Find Me sounds really dark an awesome and I totally agree about the cover! Love it! Great picks! They both sounds fabulous. I'll add them to my wish list.